The American Library Association (ALA) has selected fifty (50) people to participate in its 2019 class of Emerging Leaders. The program is designed to enable library staff and information workers to participate in project planning work groups, network with peers, gain an inside look into ALA structure, and have an opportunity to serve the profession in a leadership capacity early in their careers. Each year, the Virginia Library Association supports one Emerging Leader from the Commonwealth. Regina Sierra Carter is VLA's Emerging Leader for 2019. 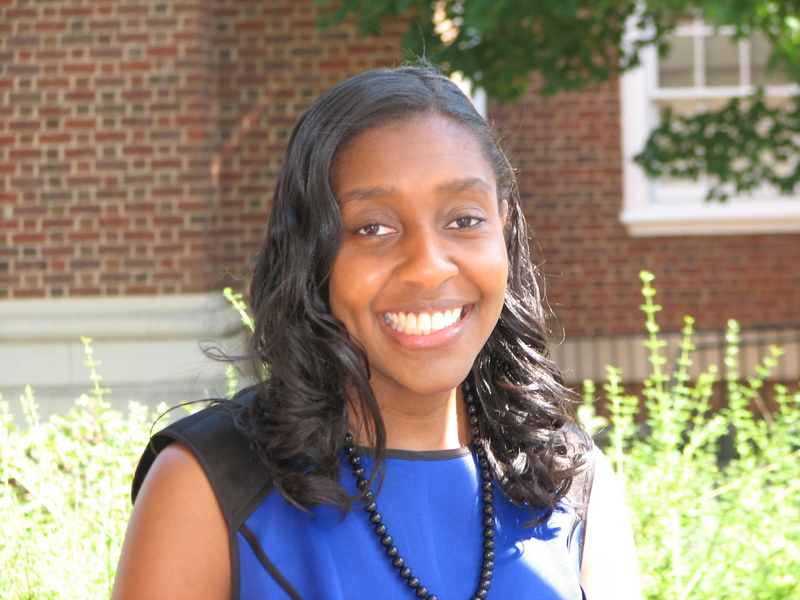 Regina Sierra Carter is a Teaching and Learning Librarian at the University of Virginia (UVA). She is passionate about providing outreach and services to all students, especially those from underserved and minority populations. Carter joined the UVA Library in June 2016 and served as the Program Coordinator for the library’s inaugural high school internship program. This effort provided local youth from underrepresented groups with work experience within an academic library. She served on the planning and selection committees for the UVA Library’s ACRL Diversity Alliance Resident Librarian Program and participated in the 2018 Minnesota Institute for Early Career Librarians. Additionally, she is a member of the Global Initiatives Group, which is comprised of librarians who are dedicated to social justice and ensuring that the library’s collections and programming are diverse, inclusive, and timely. Carter strives to ensure that the UVA Libraries are spaces where all students are welcome and can receive the information, tools, and support that they need to succeed at UVA and beyond. Carter earned her B.A. in English from the University of South Carolina-Columbia, an Ed.M. in Learning and Teaching from the Harvard Graduate School of Education, a M.S. in Library and Information Science from the University of Illinois at Urbana-Champaign (UIUC), and a Ph.D. in Educational Policy Studies from UIUC. She is a former Fulbright English Teaching Assistant whose research interests include: the history of Black librarianship in North America, multicultural children's literature, and storytelling. For more information about the American Library Association's Emerging Leader Program, please read this news release and visit the Emerging Leaders Program website.